The culmination of the Florida cross country season will take place Saturday, November 7th at Apalachee Regional Park in Tallahassee with state championship titles for both individuals and teams on the line. Leading up to the meet we will preview each classification with in-depth analysis as well as by seeing how our virtual meets think the races will play out. Today, we look at the 3A classification who will compete in the first (7:30 a.m.) and third (8:20 a.m.) races of the morning with the girls and boys respectively. After graduating four of last year's top ten girls at the state meet, the 3A girls race will feature a few front-runners all gunning for the top spot. Dillard's Brittany Gill, in her first year of cross country holds the top time in the field (18:15.40) and ran to an almost minute win at the region 3A-4 meet. Fort Myers' Kristlin Gear, who ran an 18:46.81 on the slow Holloway Park course for the 3A-3 title, is also in title contention. Although she finished 19th last year, Gear had a breakout track season which saw her run a 4:59.71 1600, as well as cinching the 1600 state title and 2:16.32 800, good for second at the state meet. If it comes down to a kick, she definitely has the track credentials to have the advantage. Leesburg's Kara Funke may not have a girl's team to train with, but with her 18:34.50 PR for the 3A-2 title looks like she'll be able to hang with the front pack as well. Ponte Verda's Claire Mortiz, first in 3A-1, has run 18:44 three times this season and can finish high with a strong race. Chiles' Emma Tucker didn't have the best regional race, placing third in 3A-1, but with last year's third place performance she certainly has the experience to win. If she can run as well as she did at Pre-State, where she was eighth and the top 3A girl with a PR of 18:26.10, she could run away with the championship. Columbia's Bridget Morse (second in 3A-1 with an 18:46), St. Augustine's Kelly Aponte (fourth in 3A-1, 18:55), Harmony's Vanessa Bolen (second in 3A-2, 19:00), North Ft. Myers' Kayla Easterly (second in 3A-3, 19:21), Chamberlain's Maggie Parrish (third in 3A-3, 19:34), Land O'Lakes' Natalie Abernathy (third in 3A-2, 19:01), and Ft. Walton Beach's Maddie Fulmer (fifth in 3A-1, 19:00) should also be in the mix for a top-10 spot. Chiles and Niceville have been battling it out all season, and except Saturday to be the final rematch. Niceville beat Chiles in the 3A-1 meet, 63-72, with team averages of 19:36 and 19:41, respectively. At Pre-State, it was Chiles who beat Niceville (seventh place, 260 points and twelfth place, 328 points), and the state meet will be held once again at ARP, Chiles' home course, so the Timberwolves will have the advantage there. Niceville doesn't have the frontrunners of Chiles has, but their advantage comes with their fourth and fifth runners who can outrun Chiles' and their low 1-5 split (0:45 at regionals, as opposed to 1:42 for Chiles). Whichever team can perform the strongest Saturday will be the ones walking away with the championship. Although the other 3A teams likely can't compete with Niceville and Chiles, Ponte Verda (third in 3A-1), Ft. Myers (first in 3A-3), Creekside (fourth in 3A-1) and Columbia (fifth in 3A-1) should all be in contention for a top-5 finish. 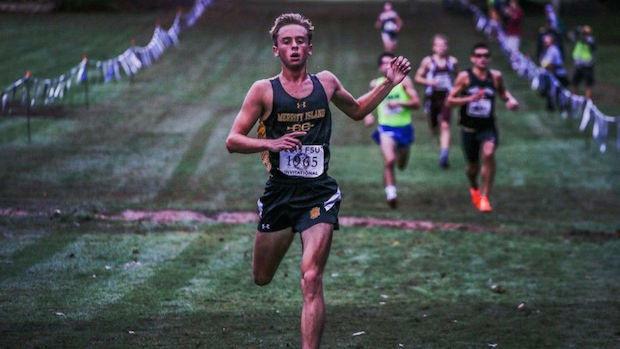 With the #1 boy's time out of all classifications in the state, this race should be dominated by Merritt Island's Steven Cross. He's lost only one race this season (FLR 16 to Seffner Christian's Noah Perkins) and hasn't lost to a 3A opponent yet. His 14:56.00 PR from the Cape Coast Conference Championship is over 45 seconds faster than anyone else in the field, and as last year's runner-up and the 2014 Footlocker National Finalist has the experience to take the easy win. Behind Cross, the battle for second should be more interesting. Leon's Matthew Cashin and Creekside's Matthew Clark battled it out for the 3A-1 title last week, with Cashin taking the win 16:06.07 to 16:07.02, but it was Clark who beat Cashin at Pre-State earlier this season, finishing second in 3A behind Cross. Charlotte's Marshall Dillion, who cruised to a 16:38.71 to win 3A-3, and Belen Jesuit's Joshua Collins, second in 3A-4 with a 15:56.60, were also in front of Cashin at Pre-State and should be in the first pack behind Cross. Other indiviuals who have a shot at a top-10 finish include West Shore's Austin Camps (third in 3A-4, 16:14.50), Belen Jesuit's Jamie Lopez (fourth in 3A-4, 16:17.20), Leon's Adam Wallenfelsz (third in 3A-1, 16:15.80), Creekside's Jospeh Storey (fourth at 3A-1, 16:17.33) and Chiles' Austin Dodson (fifth at 3A-1, 16:19.05). Belen Jesuit has only lost to one 3A team this season and looks to continue their dominance Saturday. With Bruno Zayas back on the lineup- Zayas did not compete at Pre-State, where Belen lost to Chiles-they should have a strong group through the top 5 which will give them an advantage over the competition. 3A-1 champions Creekside (45 points) and 3A-1 runner-ups Chiles (80 points) could with a strong performance knock off a Belen team on an off-day. Belen's strength through their fourth and fifth runner will make it harder for any team to get the best of them, especially if Zayas returns to top form, so Creekside or Chiles will have to close the gap between runners in order to catch them. Bartam Trail (third in 3A-1), Leon (fourth in 3A-1), Gainesville (first in 3A-2) and Ocala Vanguard (second in 3A-2) can all make a run for a top-5 spot or even, on a strong day, a podium finish.